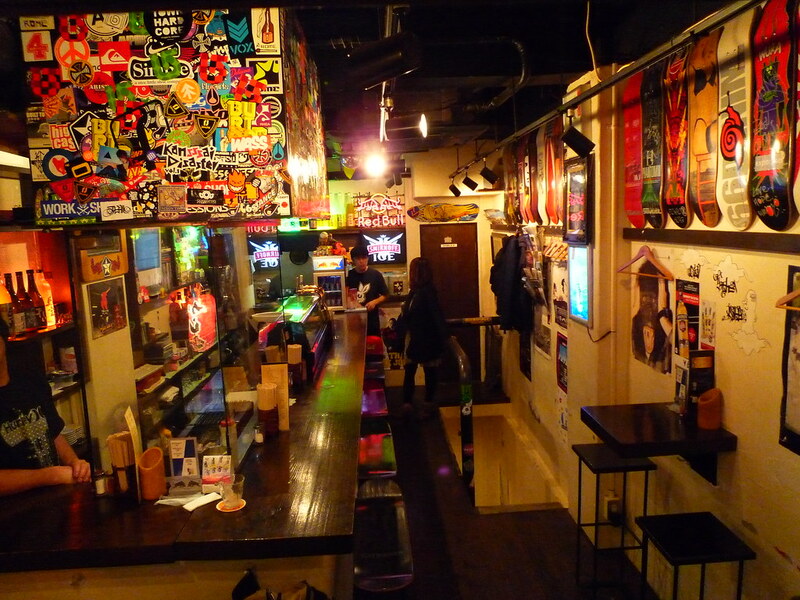 Cool bar in Osaka. You'll notice the barstools are skate decks. The guy who runs this joint used to skate for Trigger, the same group I did design work for.